Occupation: Lost job October 2001, enjoying mid-life retirement for a few years. Former occupation: General Manager for Fortune 400 company, manufacturer of industrial equipment. Student pilot and solo in 1972 in Pennsylvania, flying a Citabria. Private pilot in 1978 in Wisconsin in a Cessna 152. Instrument rating in 1980 in Illinois flying a Cardinal. 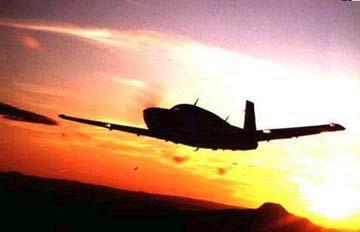 Commercial pilot in 1996 in Utah in a Piper Arrow. 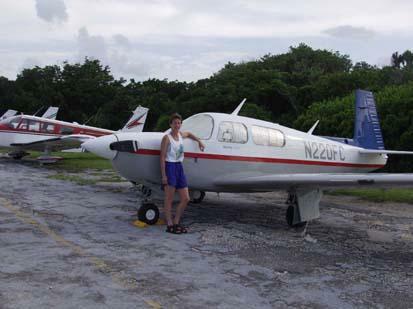 CFI/CFII in 2002 in Florida in a Mooney. Total Hours: 1035 (Dec 2002) and counting. of medical attention far from home. Approximately 20 missions flown over the past year. Also Young Eagles flights. Over 70 missions flown over the past year. 1. 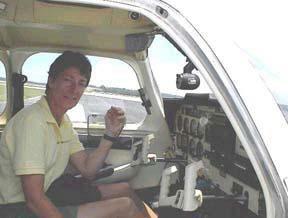 Flight to Alaska in July 2001 with co-pilot Donna Pinto. See Alaska webpage for travel log. 2. Monthly flights from Kissimmee, FL to visit parents in Clarksville, VA. Four hours total time over Jacksonville, Savannah, Florence, Fayetteville, and Raleigh-Durham. I got to know this route pretty well. Whenever possible, I'd pick up an AirLifeLine or Angel Flight mission on one of the legs, up or back. 3. Flying to the Bahamas -- they are BEAUTIFUL from the air and so easy to reach. I flew to Walker Cay, Marsh Harbour, and Crooked Island on different trips.